The first installment of this “Mythology and Fantasy Literature for Activists” series sought to introduce the potential value of mythology and fantasy literature for activists. Examining such literature may yield insights that reading history alone may not readily provide, particularly when one faces a challenge that, as far as the historical record goes, has never been overcome. Since animal emancipationists face just such a challenge, this potential value is, in the present author’s view, worth exploring. The previous article provided an example of a possible gleaning from Tolkien’s mythology-rich universe in which The Hobbit and The Lord of the Rings trilogy are set. The present article continues to explore fantasy and mythology as a source of insights and inspiration for activists by means of another example. Watership Down (1972), by Richard Adams, depicts the many difficulties that a band of rabbits face as they flee from their old home—ultimately destroyed by humans—and establish a new home. The writing quality varies. Author comments including obscure references that reach far outside of the story—and outside of the rabbit perspective as a whole—wedge distance between the reader and the characters, particularly if the reader is unfamiliar with the external matter being referenced. Other moments include instances of very good writing, including some noteworthy character-spoken poems that serve both to advance the story and to allow the reader to share the characters’ experience as audience members listening to these poems. Depth and believability of the story benefit, on the realism side, from Adams’ inclusion of numerous factual details about lapine life, and, on the fantasy side, from his creation of a few rabbit-language words and of a series of myths narrated by characters as distinct, stand-alone stories-within-the-story. But the most salient and enduring feature of the work—the quality that put Watership Down on the literary map—is its depiction of the characters’ highly individualized personalities and the relationships between those characters in light of the circumstances in which they find themselves. This area is Adams’ forte, and forte it is indeed. Fiver catalyzes the story of Watership Down. He begins as a low-ranking rabbit with few prospects for rising in the hierarchy of the rabbits’ original warren, since he lacks the aggressiveness, physical size, and related traits that apparently lead to promotion. But Fiver has a highly unusual gift for sensing things that other rabbits cannot sense and for knowing things that he cannot explain. For instance, his premonition that the rabbits must either leave their original warren or face a “terrible thing” is undeniably real and certain to him, causing him great mental anguish with physical symptoms. But none of the other rabbits have any such premonition, and Fiver is unable to provide any direct, objective evidence to corroborate this foreknowledge. Fiver’s special visionary powers appear to come with a cost: his extreme sensitivity causes Fiver to be overwhelmed and incapacitated at times when other rabbits remain contentedly oblivious. This vulnerability, in turn, sometimes negatively impacts other rabbits’ perception of Fiver. If not for Hazel, another low-ranking rabbit, Fiver’s fateful premonition would have been ignored. Indeed, the leader of the rabbits’ original warren does ignore Fiver’s warning, writing Fiver off as delusional and thereby unwittingly dooming most members of the original warren to a horrible end. But Hazel disregards the powers-that-be and instead takes Fiver’s warnings seriously. In so doing, Hazel emerges as the new leader of a small, break-away band of rabbits in their exodus away from their original home to find a new home. Societies tend to know a lot more about a “great leader” than they do about the people who made that leader great. Unless a public-facing leader’s teacher, mentor, or advisor is independently famous—Alexander the Great and Aristotle come to mind—the leader’s supporting cast generally remains almost unknown. The dynamics at work in keeping societal and historical focus on the public-facing leader rather than the supporting cast may be explored in a separate article when time permits. 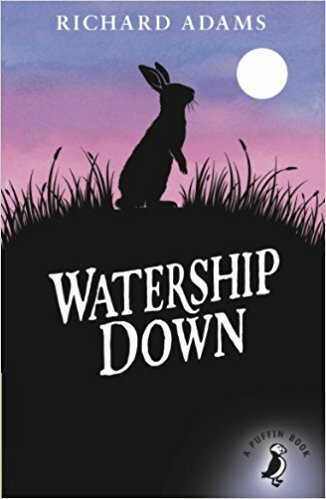 Watership Down also offers a second rare view: a glimpse into the personality and potency of a leader who can recognize the gifts of others, give credence to their insights, and act resolutely in accordance with those insights—namely, Hazel. In Hazel, the reader finds an exemplar of respect, appreciation, and willingness to listen rather than judge, regardless of others’ social status, even when, at times, Hazel himself gets frustrated with his compatriots’ eccentricities. Hazel-rah is the type of “great leader” around whom future generations would build legends and base lessons. The opportunity to listen into the thoughts of and to witness at close proximity the actions of such a leader makes a fictional work like Watership Down all the more valuable for the rarity of its offering. The present author’s finding has been that highly visionary members of the animal rights and liberation movement often have a pronounced preference for invisibility and anonymity. They work behind-the-scenes, even behind pseudonyms and other intentional self-effacing strategies. They won’t be found yelling into a bullhorn, pouring blood on their naked bodies outside of city hall, or otherwise calling attention to themselves. In fact, without great effort, they won’t be found at all. Their neighbors and co-workers in daily life may regard such a person as a meek, slightly eccentric, mildly pathetic bunny-hugger who eats “rabbit food,” a judgment that keeps the bright rays of the visionary’s lighthouse obscured from view. But vegan activists who want to make the right decisions—for themselves, for the animals, for the movement, and for the planet as a whole—will stay open to the possibility of encountering a highly insightful and foresightful individual and to embracing what such a person can impart, regardless of whether that person is famous, powerful, popular, or even merely “together” in his or her daily life. The understanding to be gained may be pivotal on a grand scale—as per Fiver’s premonition—or may be transformative on a personal level. But, in the face of a challenge as difficult as that faced by animal emancipation activists, to ignore the gifts of others is to miss opportunities, great and small. The Fiver-Hazel relationship gives rise to an alternative interpretation in the present context: Fiver and Hazel may be viewed as embodying different dimensions of a single individual’s personality. All of us have at least a certain capacity for sensitivity, awareness, insight, and foresight. We can recognize and nourish these capacities in ourselves, pay attention to the fruit which our empathy and intellect and intuition bear, and choose to align our goals and actions accordingly. We can, in short, be our own Fiver and be our own Hazel. Failing to do so invites, at best, a dependency on good luck, since one who ignores or fails to develop his or her own internal compass remains ultimately at the mercy of external circumstances—as was Threarah, the original chief rabbit who ignored Fiver’s warning. While not the focus of the present article, it’s worth noting that the journey that Fiver, Hazel, Bigwig, and the rest of this endearing group of rabbits undertake has many parallels to the journey that vegans make. Hazel’s rabbits turn their backs on everything that they have known, the old way of life, and the old hierarchy and its representatives. They begin that journey with no idea of the many obstacles they will have to overcome along the way. But they do know that they must undertake this journey—the old way simply isn’t viable—and they do so with, overall, a great deal of courage, persistence, and resilience. They choose life and the future over death and the past. That choice is definitely one that will resonate with those who have embarked on an analogous journey. In rejecting thousands of years of human habit and custom, vegans and the animal rights movement are undoubtedly in the midst of a decisive departure from the old ways, a departure that is at least as dramatic as the exodus of the rabbits in Watership Down. The journey itself is also analogous, being filled with all manner of unexpected difficulties that require new tactics and strategies and new ways of collaboration, decision-making, and problem-solving. But perhaps most analogous of all is the direction and intended destination—the vision—of a brighter future and a new and better home. This second installment of the present series has attempted to provide another example of the potential value of fantasy literature, mythology, and imagination when real-world history and experience are lacking. Other examples will be explored in future articles. The potential for fiction to teach in a way that history alone cannot gets addressed in relation to historical fiction. For instance, Sarah K. Herz, writing for the Yale-New Haven Teachers Institute, asserts that “[T]he writer of good historical fiction recreates the past with an immediacy neither expository history nor pure fiction can achieve alone” (Herz, Sarah K., Using Historical Fiction in the History Classroom, 2016). Pulitzer-winning author Michael Shaara, introducing The Killer Angels (1974), citing Stephen Crane, author of The Red Badge of Courage (1895), mentions a belief that engaging in historical fiction enables understanding of an event that “cold history” cannot provide. The present author agrees: well-written historical fiction allows readers a form of immersive, experiential—albeit vicarious—learning that differs from the learning that history alone can provide, i.e., “what it was like to be there… to live it,” as Shaara puts it. The present author would add that similar benefits are available through well-written mythology and fantasy literature, not just historical fiction, as the present article series attempts to demonstrate. For example, Adams compares the collective spirit of migrating birds to that of the “First Crusade at Antioch”; compares the rabbits’ awe at seeing a wide river to “Marco Polo [coming] at last to Cathay”; explains the rabbits’ reaction to a bridge by way of two hypothetical scenarios involving “simple African villagers”; offers a “batsman who has played a fine innings… and a speaker or an actor, on his lucky day” to convey a sense of well-being. Such esoteric, anachronistic, and anthropocentric interjections tend to interrupt rather than facilitate the reading experience. Adams credits R.M. Locksley’s The Private Life of the Rabbit (1964) for many of the factual details of rabbits’ lives, such as their feeding habits. For instance, “elil” is rabbits’ collective term for predators; a “hlessi” is a rabbit without a warren; and the onomatopoeic “hrududu” is an automobile. The rabbits’ myths are centered on El-ahrairah, a sort of patron saint of rabbits, whose clever ways of defeating or circumventing his enemies authentically evoke the “trickster” archetype commonly found in myths and folk tales. In Watership Down, rabbits generally collect in groups, warrens, that share a common home, a burrow. These warrens are arranged in a hierarchy in which an “owsla” of high-ranking rabbits enjoy certain privileges that “outskirters”—low-ranking rabbits—do not. At the top of this hierarchy is a “chief rabbit” who serves as the leader and final decision-maker of the group. When a rabbit becomes chief rabbit, the suffix “-rah” may be added to the rabbit’s name as a mark of honor. Hazel’s openness and willingness to embrace the gifts of others extends not only to Fiver but to many other characters, such as: Bigwig for his stalwart resolve; Dandelion for his fleetness of foot and eloquence as a story-teller; Blackberry for his ingenuity and problem-solving; even Bluebell, the jester whom our society might label “offensive” but whose jests keep others’ spirits up. Hazel even befriends a mouse, somewhat to the surprise of the other rabbits, and listens to that mouse—which turns out to be a smart move.